Jill Stein: 2011 debt ceiling debacle spurred candidacy. Jill Stein: Must follow up direct action with electoral politics. Jill Stein: I support legalization of marijuana. Jill Stein: Establish basic right to free college education. Jill Stein: Students are on the receiving end of generational injustice. Jill Stein: Completely zero out climate emissions, as fast as possible. Jill Stein: We can't wait 4 more years to address climate change. Jill Stein: National ban on fracking; natural gas is not clean. Jill Stein: No evidence that carbon sequestration solves climate crisis. Jill Stein: Water should be tested for radioactivity and heavy metals. Margaret Flowers: Water should be tested for radioactivity and heavy metals. Jill Stein: Restore shorelines, deltas, forests, and grazing systems. Jill Stein: Start holding all parties accountable in Israel/Palestine. Jill Stein: No corporate nor lobbyist donations; just small donors. Jill Stein: 2002 Clean Elections repeal meant "throw the bums out". Don Berwick: ObamaCare is massive step forward, but we need single-payer. Hillary Clinton: OpEd: Settling for ObamaCare abandons single-payer. Jill Stein: What injures the climate's health also injures human health. Jill Stein: Medical doctor & advocate for community health provider. Jill Stein: ObamaCare was step backward for goal of single payer. Barack Obama: OpEd: Did not prosecute official acts of torture. Jill Stein: Patriot Act ends the right to judicial review. Jill Stein: Bloated military budget enables knee-jerk military solutions. Jill Stein: Focus on pink jobs: the jobs of meeting human needs. Jill Stein: Stimulus spent $220K per job; I propose $20K per green job. Donald Trump: OpEd: Trump's rise analogous to Hitler's in 1930s Germany. Jill Stein: Ran as Green Party nominee for MA governor in 2002 & 2010. Jill Stein: Silence is not an effective political strategy. 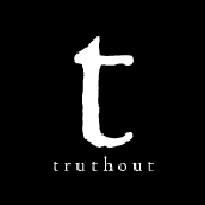 The above quotations are from Truth-out.org political website.